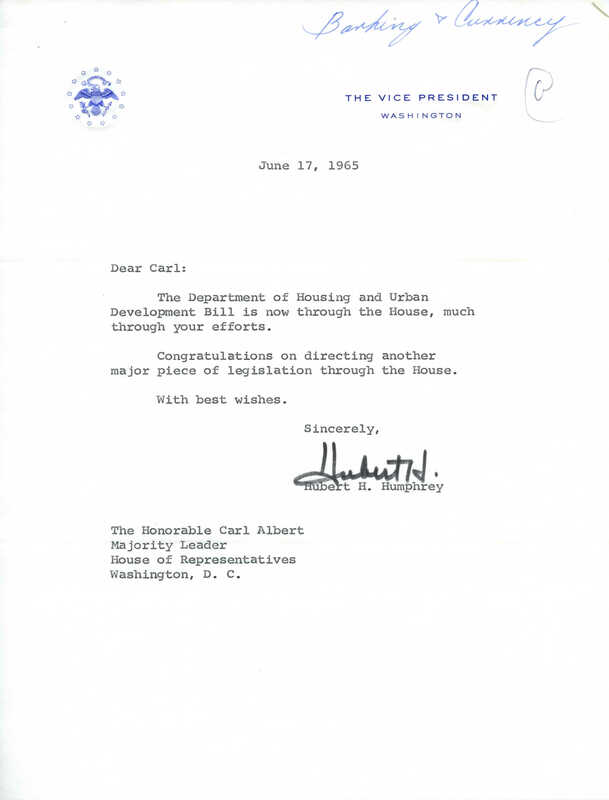 Signed letter from Vice President Hubert Humphrey thanking Carl Albert for his efforts in directing the passage of the Department of Housing and Urban Development Bill of 1965. Albert, Carl, 1908-2000. "Letter from Vice President Hubert H. Humphrey to Carl Albert." 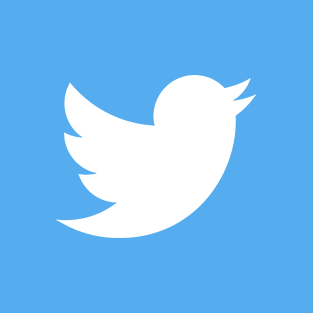 Original Letter. Sent from Vice President Humphrey to Rep. Albert. Carl Albert Congressional Papers, Legislative Series, Box 87, Folder 28, Carl Albert Center Congressional Archives, University of Oklahoma. 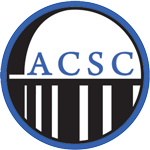 Accessed 20 April 2019. http://acsc.lib.udel.edu/items/show/283.